I had about given up on my Gold Tone DLX Banjo Uke, C (third string) always sounded dead, but could find nothing wrong with the instrument. Sounded terrible. I happened upon a review of these strings, and the red (wound) 3rd string COMPLETELY fixed the issue that has bugged me for over a year ! So happy with these strings !!! The strings arrived very fast and was very happy with the quality. They went on my grandfather's banjo uke that he played in vaudeville. It still had original gut strings and wouldn't hold tune. Now it sounds great! Q: How long are these strings? I need these for a Tenor Banjo with a total length required of 38". Q: What is the difference between the 28U and 42U strings? I have a tenor size 26 inch banjolele and my A string just snapped. Not sure what to buy, do all 4 uke sizes use 17" strings? 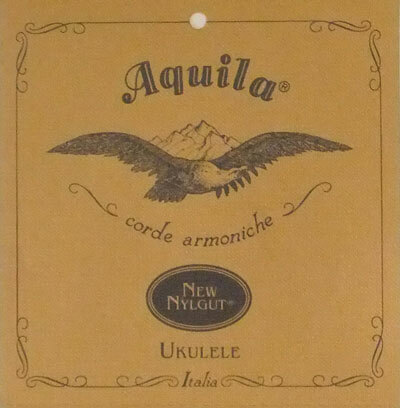 I've only had this a few months and it came with Aquila strings, new. I don't think I need to replace the other 3 since they were only a few months old?? The difference is set 28U has a Red Series third string and 42U is all regular Nylgut. Most Uke strings are of similar length but gauges may vary depending on scale length. You may or may not need to replace all strings after three months; factors like heat, humidity and playing time all factor into string life. Individual "A" strings are not available unfortunately. You could try using a nylon guitar string (probably something around a .024in gauge) but this may sound uneven against the rest of the strings. Feel free to contact our customer service number if you would like more assistance. Q: Are these ball end strings? No, they are plain strings designed to be tied off.